Try it for free on your tablet or smartphone! Their math skills are going to take off! Aula Itbook is an educational project aimed at developing and consolidating calculation skills (adding, subtracting, multiplying and dividing) in accordance with LOMCE, the law for improving the quality of Infant and Primary Education. Convert doing arithmetic into a game that encourages the achievement of objectives. With a syllabus divided into small units in the form of tests that award prizes and praise. Aula Itbook enables the use of the digital blackboard application while the pupils can carry out their exercises independently on their computer or tablet. Aula Itbook enables caring for the needs of the children with more difficulties. It encourages them to persevere in doing their exercises and gradual small-step improvement enables them to develop their skills. Aula Itbook has an analytics webpage so that several people can obtain information about time use and progress for each pupil. 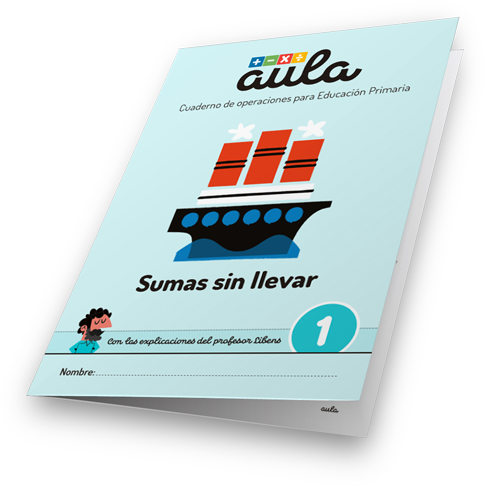 Aula Itbook accompanies students throughout primary education, from the first simple sums until they face advanced divisions with decimals. Classroom never runs out: You can repeat the 60 levels as many times as you want, because an algorithm generates different operations each time you start. The application enables the teacher to make maths classes dynamic by capturing the pupils’ attention and encouraging participation in an enjoyable way, since each of the 10 workbooks is oriented in a different scenario and, in addition to self-correcting exercises, the application has motivating games. It is installed on the teacher’s computer for projection onto the digital blackboard during classes. It doesn’t require Internet connection to operate. Compatible with all operating systems (Windows, Mac or Linux). At school or at home, children can do the exercises individually from an App that can be installed on any mobile device. • Solving the problems is marked on a journey with tests and rewards that, as with games, encourages them to improve. Each pupil has to personalise their avatar. The teacher can monitor precisely each of the pupil’s progress through a webpage that they access with a personal password. The teacher can personalise the pupils’ tasks, objectives and workbooks. They will never run out because the application’s algorithm generates unlimited self-correcting mathematical exercises. Aula Itbook includes a collection of short videos, the aim of which is to explain how to solve the various exercises step by step. The videos are in the application and also on the website. Very useful for pupils but also so that parents can recall how to solve the problems and can help their children in their education. For teachers who also want their pupils to do arithmetic with a pencil and paper. The paper version of AULA reproduces the 10-level itinerary of the application in a collection of 10 workbooks, each level with one type of exercise. 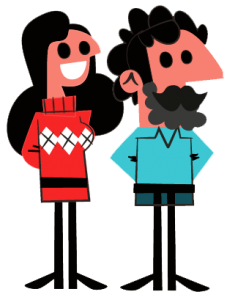 Converts the video explanations into simple graphics and, through its mix of exercises and games, maintains the playful spirit of learning. More than one hundred children between the ages of 5 and 12 have used the Aula application in class under a selection of teachers. Since the beginning of the tests we have made endless changes and introduced new features, thanks to the observations of the teachers and the results obtained from the daily work in the classroom. The tests demonstrate great improvements in learning mathematics and a large impact on the pupils’ confidence, as well as a general increase in the time spent on doing exercises. The use of the Aula has enabled great progress with hyperactive and attention deficient children and in children with limited language skills (displaced). App Kids 2018 Awards. “The 10 best children’s apps Made in Spain”. Child Communication Festival El Chupete & Generación Apps.